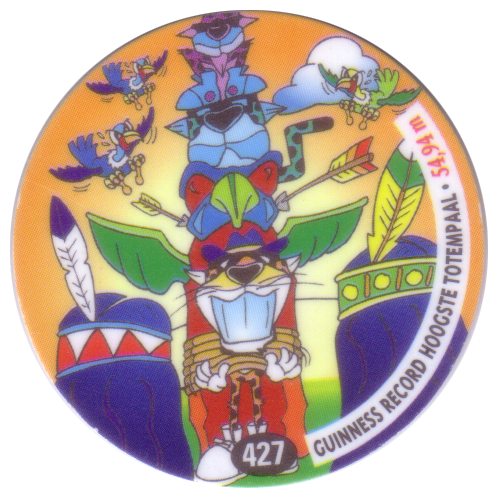 Info:These Flippos all feature Chester Cheetah in a situation related to a Guinness World Record. 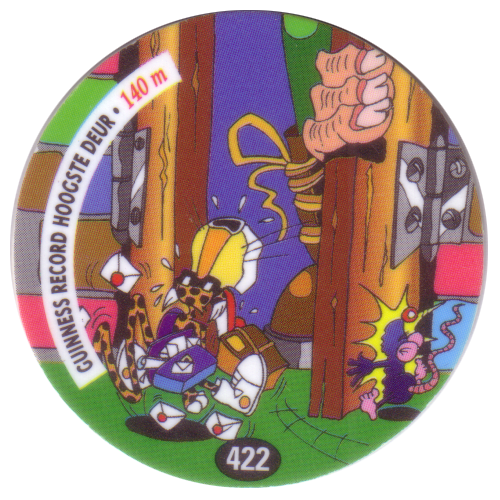 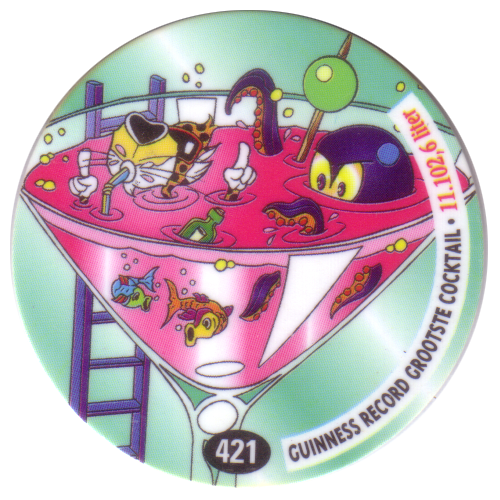 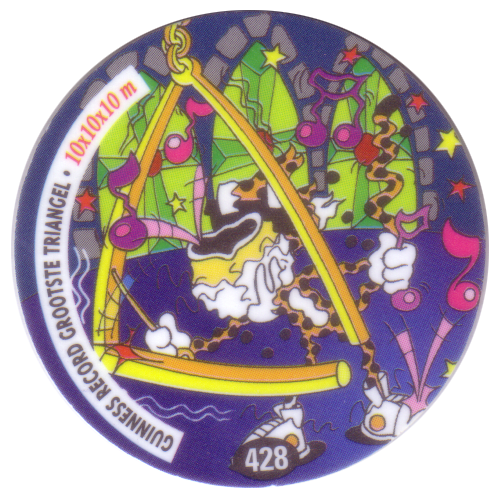 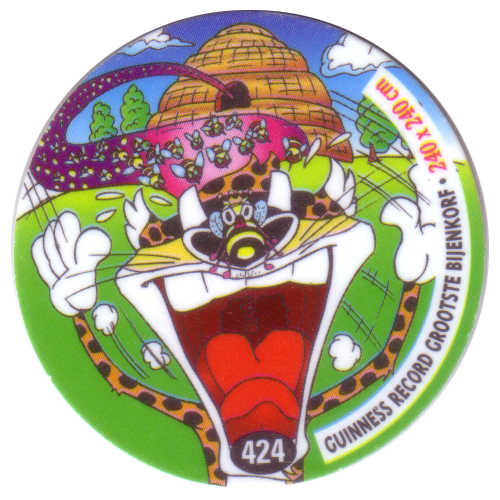 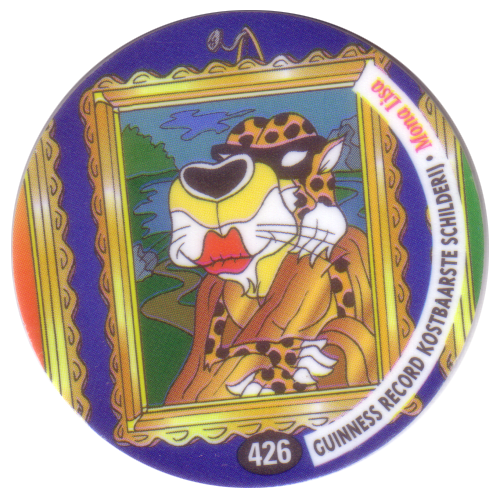 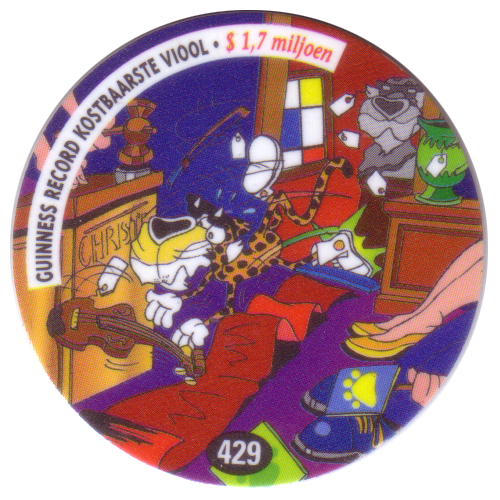 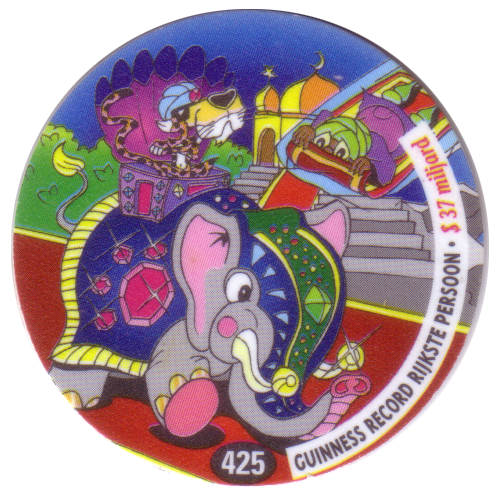 The premise is the same as the previous set of Guinness World Record Flippos. 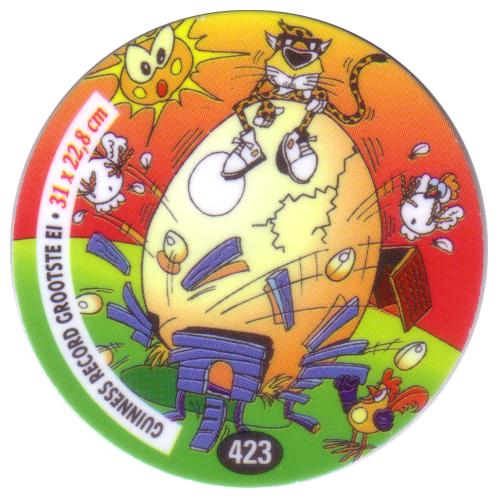 As with the previous set, they also have backs with the Chee-tos 24 Game design. 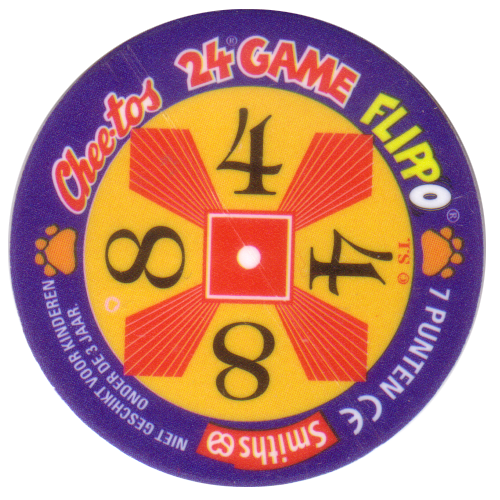 There are 10 Flippos in the full set. 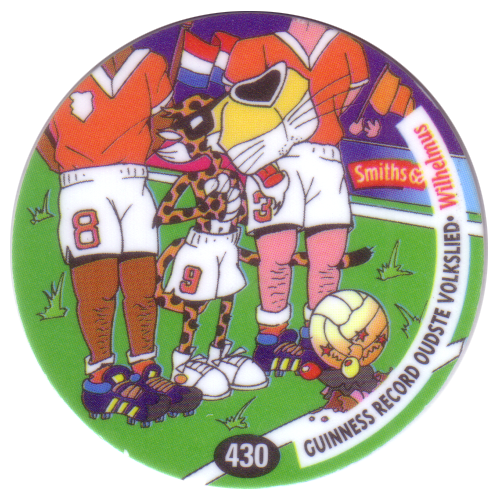 They were probably given away with packs of Cheetos produced by Smiths in the Netherlands.